Japan and China are both on a campaign to widen and deepen their contacts in Africa. Beijing declared 2006 as China’s ‘Year of Africa’ when the China-Africa Summit took place in Beijing. 2008 was Japan’s ‘Africa Year’ when it hosted the fifth annual Tokyo International Conference on African Development (TICAD) and also lead the the G8 Summit, where African development was an important point on the agenda. Japan and China both see African support as beneficial to their political and diplomatic goals in the international system (Cornelissen and Taylor 2000). Next to being the most populous nation, Nigeria is also one of the biggest oil-producing countries and fastest growing economies of Africa. Since Japan and China have both shown growing interest in Nigeria since the 1990s, I will focus on Nigeria vis-à-vis Japan and China in this essay. Nigeria is seen as a useful buttress by both countries. However, the reasons for their interests and the foreign policy goals considering Nigeria are not exactly the same. How are they different? And, most importantly, why do their policies differ? Though I will emphasize on Nigeria here, recent developments between the nations have to be seen within the context of China and Japan’s approach to Africa as a whole, and therefore I will also point out relations to the continent at large (Ampiah 2005a). To analyze these bilateral relations, I use three ways to interpretate Japan/China-Nigeria relations: as ‘development partner’, ‘economic competitor’, and as ‘colonizer’ to Nigeria . I will explain later what is meant by these terms. Before approaching recent developments, the first paragraph will first briefly explore the background of Japan/China relations to Africa as a whole. From the beginning of the 20th century, Japan’s relation to African countries, as colonial entities and independent states, was mainly dictated by its relations with the UK. Later on it was exactly through these relations gone bad that Japan, in World War II, was fighting against African soldiers as colonial subjects of the UK. Although the Japanese and Africans found themselves fighting face to face, the sympathies and hopes of the Africans were on the Japanese side. In Japan, they saw a non-Western state that had challenged the white supremacy, and could also free them of colonization. After World War II, Japanese relations to African countries were determined by the US-Japan alliance, in an anti-Russian, anti-communist framework (Ampiah 1997). 1955 was a special year for Japan-Africa relations, since it was in this year that the Bandung Conference took place. This conference deserves attention since it was a conference where Japan had to face Africa on its own; the US and Europe were not invited. The conference was built on a sense of freedom and independency. The participating countries would not be trapped in colonialism again, and would be able to form a ‘third force’ against the two poles of the Cold War. However, Japan wanted to keep in the background since China was a participant as well, and Japan was afraid of alarming the US by profiling themselves too clearly next to the ‘Red Danger’. Furthermore, Japan wanted UN membership, and did not want to risk anything by insulting or alarming either Moscow or Washington (Ampiah 1997; China Daily 2005). And thus Japan preferred to keep a low-profile in the Asia-African congress in order to secure its position in global politics. Zhou Enlai was the one who represented China at Bandung. China was not aiming at a low profile, but on the contrary, wanted to attract relations with African countries. It was around this time that China started pursuing policies with Africa that form the roots to contemporary engagements with the continent . Africa was primarily seen as a terrain for ideological competition against the big players like Sovjet-Union, US and Europe (Alden 2007, 16). This showed itself, for example, in the support of liberation movements that were ideologically commited to Maoist China. With this first term is explored how we can interpret the relations of respectively Japan and China to Nigeria as one where they are working to build a long term strategic commitment; one that is beneficial for their own economic needs as well as to the development of Nigeria. In 2001, PM Mori of Japan visited Nigeria. This visit was significant, since it was the first time that an incumbent Japanese leader visited the country. The trip was also a start in Japan’s new foreign policies towards the continent, where Japan wanted to profile itself as a ‘custodian to African development’ (Cornellisen 2004, 1). As Mori said: “There will be no stability and prosperity in the 21st century unless the problems of Africa are solved” (1). 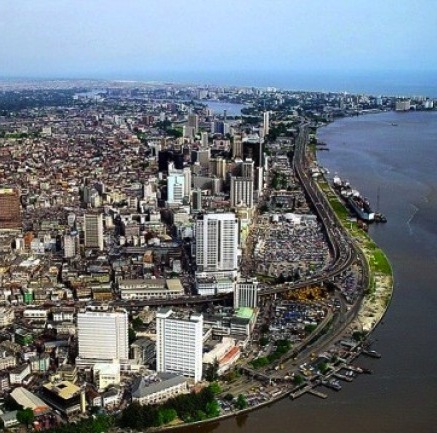 Nigeria was one of the five African nations that received disbursement for development from Japan since the 1960s. According to Cornelissen (2004), aid is the foundation of the bound between Japan and Africa, and Nigeria has benefited from this. One of the main pillars in present-day relations between Japan and Africa is the TICAD, a global framework for Asia and Africa to collaborate in promoting Africa’s development. Japan is in charge of the TICAD, that was founded in 1993, and brings together important international representatives like the World Bank and UNDP. Its main goals are the acceleration of African development through political and eonomical reform, encouragement of the private secors to promote economic development and an enhanced African regional economic and trade cooperation. In Nigeria, the TICAD for example helps women farmers improve their livelihoods (Cornelissen 2004; TICAD 2009). However, pessimism over TICAD is rising since the aspirations of Japan sound convincing, but in reality, implementation of their policies has been disappointing. Furthermore, Japan’s FDI in Africa has actually been rather insignificant: only 0.4% of their total FDI has been invested in Africa between 2002-2004, of which 85% has gone to South-Africa and Liberia (Ampiah 2008). Nigeria’s benefit from Japan’s aid is thus rather minimal. China, on the other hand, seems to overtake Japan’s efforts in Nigeria. China has been cultivating its bounds with Africa and has been taking a lot of new initiatives, as it also hosted its own summit of African leaders in Beijing, the Forum on China Africa Cooperation, in November 2006 (Ampiah 2008). As Ampiah quotes the African Ambassadors’ Group in Tokyo: “TICAD is no longer alone in terms of Asia-based fora focused on Africa…the action-oriented approach, and the aggressive, highly-visible character of some of the other initiatives to have emerged over the past few years [make] it clear the TICAD Process risks being overshadowed – especially in terms of delivery and effectiveness on the ground” (1). This also strengthens what Rotberg (2008) says about Chinese FDI: “Chinese investment (..) is coupled with the kind of development in financial, commercial, infrastructural, and socioeconomic sectors that is urgently needed for Africa’s long-term growth” (83). 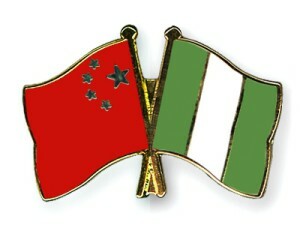 It seems that China is indeed working to build a long term strategic commitment with Nigeria. This partnership is however rather ambiguous; Nigeria is benefiting from China’s efforts now, but it is not clear to what extent China intends to let Nigeria benefit from this alliance in the future, since China is becoming a competitor of Nigeria’s own market as explained in the next paragraph. Japan’s alliances to Nigeria are also ambiguous since Japan is profiling itself by TICAD, a platform that gets a lot of attention, but has not actually worked out very well in reality. The term ‘economic competitor’ holds the thought that Japan/China is becoming a competitor in Nigeria and is engaged in ‘resource grabbing’ without taking the local needs and concerns in account. In this way, the gains of Nigeria are undermined by the competitiveness of either Japan or China (Alden 2007, 6). It was not until the 1970s that Japan started to actively engage with Sub-Saharan Africa itself without following the track of the US. This was due to their resource policy; Japan depends on external sources for raw material requirement. 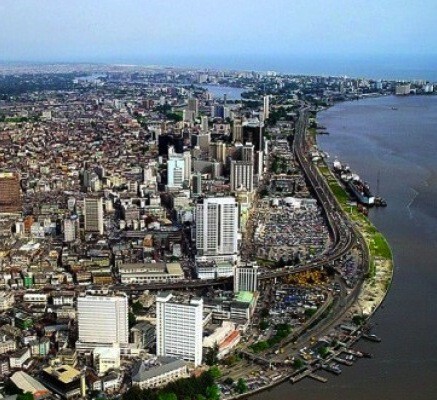 Nigeria, next to Angola, is one of Africa’s top oil nations. Mining and oil are the leading sectors of the nation. In this way, Nigeria is a very strategic partner when it comes down to raw materials. However, Japan’s investments in Nigeria have hardly been raw-material oriented. The main reason for this is that Japan already has South Africa as its main partner for raw materials and agricultural products. Most of Japanese investments in Nigeria have been in the manufacturing sector, although the overall FDI in this is relatively low (Ampiah 1997). In short; the abundance of oil in Nigeria is not seen as relevant to Japan. Ampiah (2007) also offers another explanation: it might be the erratic political and economic system of Nigeria that has refrained Japan from investing in it (134). China has taken over Japan as the number two nation of oil consumption, and is hungry for oil. China is a more aggressive seeker of natural resources than Japan. Nigeria therefore is a very strategic partner for China. But raw material is not the only thing Nigeria has to offer China. Looking at the exponential rise of Sino-Nigerian trade relations , Nigeria is well on its way of becoming China’s second largest trading partner. Chinese goods are streaming into the Nigerian market. According to Taylor (2007), this is good when considering that Nigerians are now able to buy cheap products that were not yet available to them before. However, on the other hand, China is increasingly competing with the Nigerian market. China has commercial investments in Nigeria ranging from the pharmaceutical industry to telecommunication or construction. The workers in these industries are mainly brought in from China, as opposed to hiring local people. In this way, China has shown that it does not care much for the benefit of the local people (Taylor 2007). As for oil, China is willing to do a lot for it, and is not exactly hiding its intentions. From launching sattelites to supplying the Nigerian military, China will do it all for oil. Japan can hardly be called an ‘economic competitor’ in Nigeria, since it is not in Japan’s interest to be ‘resource-grabbing’ in this nation; Japan has already got South-Africa. It might indeed also be the unstable political situation of Nigeria, where corruption is every-day practice, that prevents Japan from investing. But this has not stopped Japan from dealing with South-Africa, where corruption is highly prevalent as well (Aturu 2009). And so, even though Japan is no economic competitor of Nigeria, its reasons for not doing so do not necessarily have a moral foundation. China has gained a strong foothold in the Nigerian market. From constructionwork to retail shops, the Chinese hire their own staff, and furthermore compete with local prices. The Nigerian people are now still benefiting from Chinese presence by improving infrastructure and telecommunication, for example, but in the future Chinese alliances could turn out to be less profitable for Nigeria. According to the dictionary, to ‘colonize’ literally means: “come to settle among and establish political control over (the indigenous people of an area)”. Highlighting Japan/China’s role as ‘colonizer’ means looking at the extent to which Japan/China exercise some political control over Nigeria. Since Japan nor China of course are actual colonizers, the point here is to see how and if they promote their identities to Nigeria in order to gain influence. 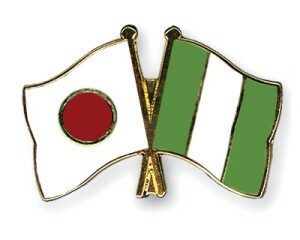 Japan’s policies on Nigeria emphasize democratic reform and human rights. They supported elections in Nigeria while funding African rule of law and human rights initiatives (Eisenman 2005). At the summit meeting between Nigeria’s former PM Obasanjo and Japan’s PM Mori in 2001, Mori stated that he expected Japan’s efforts in the area of Basic Human Needs would directly benefit Nigerians, and that he also expected Nigeria to contribute to the nation’s democratization (Ampiah 2005a). In its ‘campaign’ for democratization in Nigeria, Japan, as a non-western first world country, profiles itself as a model for development. Japan influences local politics by applying strict criteria for aid provision, with democracy and human-rights protection as basic conditions (Masaki 2006; Cornelissen 2004). While Japan is profiled as a ‘role model’, China is seen as the protector of erratic states. Although the propagation of Maoism once played an imporant role in China’s alliance with Africa, China now maintains in putting economic development before political goals. This has resulted in criticism. As former US ambassador to Nigeria and South Africa, Princeton Lyman, says: “Does China want to be seen in Africa as the defender of rogue states, the more aggressive seeker of Africa’s natural resources, without regard to transparency, development and stability there?” (Eisenman and Stewart 2005; Masaki 2006). Beijing is willing to igore political considerations in its search for energy sources, and its connections with the elites of Nigeria is essential in this. The Nigerian government does not mind; as long as well connected elites prosper, it is all well (Taylor 2007; Masaki 2006). Actually, China is not the only one being critized. Although Japan’s reasons for promoting democracy in Nigeria, and putting itself forward as an example, seem noble, critics tend to think otherwise, and say that Japan publicized its aid and ‘moral’ support to Africa in the G8 in order to acquire a better position and gain international stature (Cornelissen 2004). Although China is not actively seeking to gain political influence in Nigeria, its strong economic ties with the nation have resulted in a nation where children greet all foreigners with a loud ‘ni hao’ by now (Michel 2007). The economic ‘miracle’ of China is an example for Africa, and leaders have welcomed alliances. Nigeria and China have mutual development agenda, shared values and, as Alden (2007) puts it ‘a common analysis of threat’ (15). Forging economic ties are bound to attract growing political bounds between the two nations, where China undeniable is the biggest party in an unequal relation. There is something to say on both Japan as China in the perspectives of ‘development partner’, ‘economic competitor’ and ‘colonizer’. If you look at (news)articles and public opinions on the aspects of the bilateral relations between Japan/China-Nigeria, both countries are criticized for the role they play from all of these perspectives. The main criticism basically comes down to the fact that Japan’s attitude towards Nigeria only serves one purpose: to increase their prestige in the international politics and play a greater role in global politics. Africa, including Nigeria, is on Japan’s agenda as a smart way of tactics in the game of global politics. Aid to Africa is used as a diplomatic instrument. China is critizised for plundering and exploiting Nigeria. Nigeria would only be on their agenda as a way to benefit their own economy and counterbalance Western powers. In this way, both Japan and China are ambiguous allies to Nigeria. The different policies of China and Japan in Nigeria relate to their divergent roles in the international system. These roles cannot be further explored here now, but an important feature in the profile of Japan in international politics is that Japan is always aware of Europe and America looking over its shoulder; Japan conforms to the role they are ‘supposed’ to play in world politics. Japan will therefore not take risks in its policies to Africa or Nigeria, and will do what is ‘right’ according to global norms. They offer aid, set up an impressive conference and propagate democracy and human rights. But their initiatives and actions have actually proven to look better on paper than in reality. Nigeria has not really benefited a lot from Japan at all. China, on the other hand, is portrayed as the ‘bad guy’ in Africa. They are willing to deal with rogue states like Sudan and do not care much for emphasizing human rights. For Nigeria, however, China has already brought much more improvement in the national economic situation than Japan ever has. Apparently Nigeria right now benefits more from making money together with China than talking about solutions and human rights with Japan. It is important to note that there are no ‘good guys’ or ‘bad guys’ in this story. Criticism on Japan/China agenda’s on Africa come from nations where politicians also have their own agenda’s on African countries for their own reasons, which will never all be selfless. Japan and China have not been unselfish either. An important question is: what does it actually matter? China now seems to be outdoing Japan in forging closer economic relations and increasing influence in Nigeria. Appaerently China’s approach suits Nigeria for the present time. This is something that is often failed to be mentioned in the existing criticism on either Japan or China’s policies; Nigeria is not an inactive player in international relations, but can judge what is good for its own nation as well. In the end, any benefits that Nigeria generates from either China’s or Japan’s involvement will depend on Nigeria itself. What Nigeria does for Nigeria is eventually much more important than what either Japan or China does for it. Any nation that is more than willing to welcome ambiguous alliances, ultimately, is an ambiguous ally itself as well. * Alden, Chris. 2007. China in Africa. London: Zed Books. * Ampiah, Kweku. 1997. The Dynamics of Japan’s Relations with Africa. London: Routledge. * Ampiah, Kweku. 2005a. Nigeria’s Fledgling Friendship with Japan: The Beginning of a ‘Special Partnership’? Africanand Asian Studies 4, no. 4: 547-573. (June 6), http://www.opendemocracy.net/article/japan-in-africa-paths-to-partnership (accessed October 11, 2009). * Cornellisen, Scarlett and Ian Taylor. 2000. The political economy of China and Japan’s relationship with Africa: a comparative perspective. The Pacific Review 13, no. 4: 615-633. * Hairong, Y. and Sautman, B. 2007. Friends and Interests: China’s Distinctive Links with Africa. African Studies Review 50, No. 3 (December):75–114. * King, K. 2007. China’s aid to Africa: a view from China and Japan. Lead paper to the JICA seminar on China’s Aid to Africa – the Beijing Summit and its Follow-up, January 29, The University of Hong Kong Comparative Education Research Centre. * Michel, Serge. 2007. Afrika, Het Wilde Westen van China. NRC Handelsblad M Nov: 40-54. * Pinxteren, Garrie van. 2007. Zachte Woorden, Harde Hand. Vrij Nederland 68: 56-60. * Rotberg, Robert. 2008. China into Africa: Trade, Aid and Influence. Cambridge: World Peace Foundation. * Snow, Philip. 1989. The Star RafT: China’s Encounter with Africa. Ithaca: Cornell U.P. * Stein, Howard. 1998. Japanese Aid to Africa: Patterns, Motivation and the Role of Structural Adjustment. The Journal of Development Studies 35, no. 2 (December): pp. 27-53. * Taylor, Ian. 2007. China’s Relations with Nigeria. The Round Table 96, no. 392 (October): 631 – 645. * TICAD Website. Tokyo International Conference on African Development. * Blair, David. 2009. Why China is trying to colonise Africa. Telegraph (August 2007), http://www.telegraph.co.uk (accessed October 11, 2009). http://www.chinadaily.com.cn/english/doc/2005-04/20/content_435929.htm (accessed November 27, 2009). * Eisenman, Joshua and Devin T Stewart. 2005. China-Japan oil rivalry spills into Africa. Asia Times Online (Nov 30), http://www.atimes.com/atimes/China/GK17Ad01.html (accessed September 29, 2009). * Hisane Misaki. 2006. Japan takes on China in Africa. Asian Times Online (August 15), http://www.atimes.com/atimes/Japan/HH15Dh01.html (accessed September 29, 2009).